Popup Marquee will collect and hold your personal information in a fair and lawful manner, and not in an unreasonably intrusive way. Where it is reasonably practical to do so, we will collect your personal information directly from you. However, in certain cases we may collect personal information from third parties, including from publically available sources. f) As otherwise required to manage Popup Marquee's business. The type of personal information we may collect can include (but is not limited to), your name, postal address, email address, phone numbers and billing information. Please note that we do not store credit card information, this is processed through a 3rd Party, being either our Credit Card Merchant, The Commonwealth Bank of Australia or, PayPal. In the event a credit card is provide to Popup Marquee over the telephone we destroy this credit card information by shredding when the transaction is complete. At Popup Marquee, your personal information is treated with the greatest of care. Popup Marquee maintains appropriate physical, procedural and technical security for its offices and information storage facilities so as to prevent any loss, misuse, unauthorized access, disclosure, or modification of personal information. This also applies to disposal of personal information. Popup Marquee further protects personal information by restricting access to personal information to those who need access to do their job. Physical, electronic and managerial procedures have been employed to safeguard the security and integrity of your personal information. Online purchases are conducted using secure 256 bit Encryption of sensitive credit card information. We use a 3rd Party, being either our Credit Card Merchant, The Commonwealth Bank of Australia or, PayPal to process online transactions and do not record your credit card details. If, however, you choose to set up an account on the Popup Marquee.com.au website to make future transactions quicker your details will be encrypted and stored on our secure server. You can update or delete these details at any time. 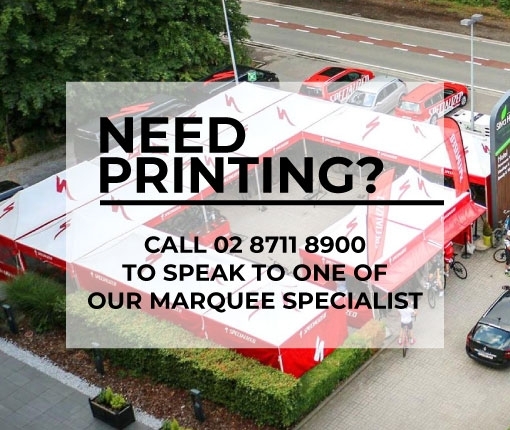 Like most business, marketing is important to Popup Marquee’s continued success. We believe we have a unique range of products and services that we provide to customers at a high standard. We therefore like to stay in touch with customers and let them know about new opportunities. We may provide you with information about new products, services and promotions. On the Popup Marquee website we use a 3rd Party service that allows you to immediately ask us a question while browsing the site. It also allows us to say hi to you and ask if there is anything we can help you with. We find most customers find this a useful service. You have no obligation what so ever to use this service or reply if we say hello. Popup Marquee is not obliged to correct any of your personal information if it does not agree that it requires correction and may refuse to do so. If Popup Marquee refuses a correction request, we will provide you with a written notice stating our reasons for refusing. Popup Marquee may disclose your personal information to companies that are associated with us overseas to assist the provision of the services and other purposes described in this policy. The last update to this document was 16 April 2018.